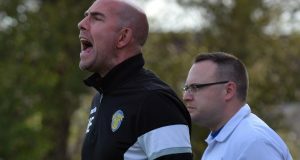 Moulton Harrox have moved eight points clear at the top of the ChromaSport PDFL Premier Division after thrashing Oakham United 5-1 on Saturday. Top scorer Joe Townsend led the spree for Harrox with two goals at Broad Lane, taking his tally for the season to 20. 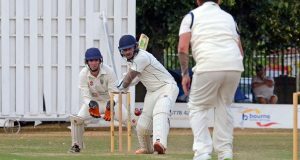 Marcus Parry, Ashley Coddington and Declan Earth also got in on the act as Kev Nottingham’s charges made it 19 wins from 23 league games this season. Also winning well in the top flight were Holbeach United Reserves, who smashed struggling Peterborough Polonia 5-2 to keep themselves fifth in the table. Louis Steadman (2), Fenn Storey, Liam Mead and Jordan Keeble fired the Tigers to an emphatic success. Tydd made it back-to-back Premier Division wins too, as they knocked off high-flying Ketton 2-1. A double from star man got the job done for the South Holland side, who also had Nick Ainslie sent off in the clash. However, Long Sutton Athletic slipped to a 3-1 home defeat against Thorney at London Road. Tatenda Chipunza did net for the Magpies, but strikes from Sam Donohoe and former favourite Matty Oliver (2) sealed their fate. 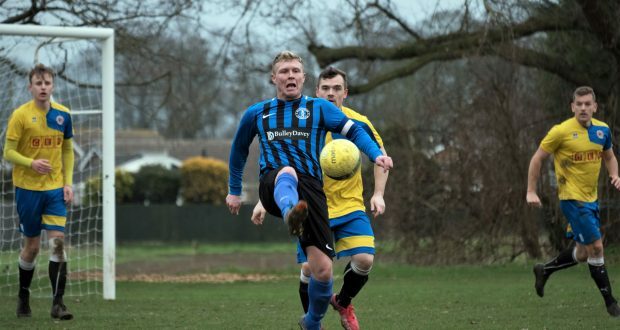 Down in Division Two, there were defeats for both Spalding Athletic and Whaplode Drove. Hosts Drove went down 3-2 against Langtoft United Reserves and stay 11th, two points above the bottom two. Below them are Spalding Athletic, who were thumped 9-1 at home by Cardea. Elsewhere, Long Sutton Athletic were beaten 4-0 at Peterborough NECI in Division Three and are now nine points off the top two. 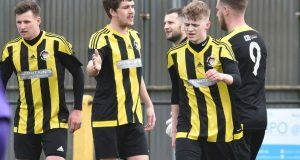 In Division Four, Holbeach United Sports drew 2-2 at home against Ramsey Town as Kieron McConnell and Scott Powley netted. Tydd Reserves also drew 1-1 at Kings Cliffe Reserves with Michael Ocock netting. Meanwhile, Division One duo Crowland Town and Spalding Town clashed in the Spalding Inter-Services Trophy at Snowden Field. The tight tussle went to way of hosts Crowland, with Stephen Wells and Reece Crane both netting in a 2-1 victory.